Thanks Jason and Jesse for the hard work you put in on our Sage Grouse, Partridge Hunt this week. Allowing me to bring my own dog and slip your dogs in when mine were tired worked out perfect. I can now see that my dogs have a lot to learn, but thats got me real excited to get to work on them. 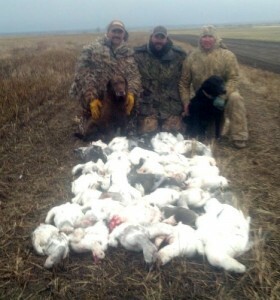 Ending our hunt with limits on everything the last two days was awesome! Again thanks for a great hunt and tell Andrea the cook we really enjoyed the food. 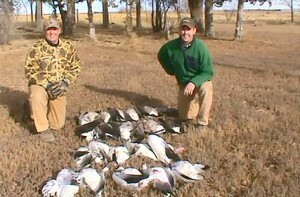 Hi Jason Thanks so much for such a good hunt with you and your guides this past week. Zack killing his first Pheasant was quite a treat, its ll he talks about. I think he has the hunting bug for sure! Anyway good luck with the rest of the season and we look froward to trying for Chukar and Blue Grouse next year. I just wanted to say thanks for such a great hunt last week, the number of truly Wild Birds was a real pleasant surprise! Having never hunted Huns before I was amazed at how fast they flew and how often your dogs were able to track down and point the same covey several times. Shooting lots of birds was fun, but the best was watching the dogs and how they worked birds from long distances. I have been on a number of guided hunts and this was the best, thanks again for all your hard work. My son David and I really enjoyed the Hungarian Partridge we ate last night for dinner! We suggest you pack for cool to colder temperatures. Click on our weather icon for latest conditions and up to date forecast. Include in your shooting bag a variety of Gore-Tex and fleece outerwear in order to help regulate your body temperature during a Wyoming hunting trip. While fall is typically beautiful, Wyoming weather can change quickly. Your hunt bag should also include waterproof/lightweight hunting footwear, a game vest, upland gloves, headwear, hearing protection, shooting glasses, choke tubes, oil and solvents, shell pouch and knife. While hunter orange outerwear is not required by law for Wyoming hunts, we at Grey Reef Anglers require that you wear a blaze orange hat or vest. 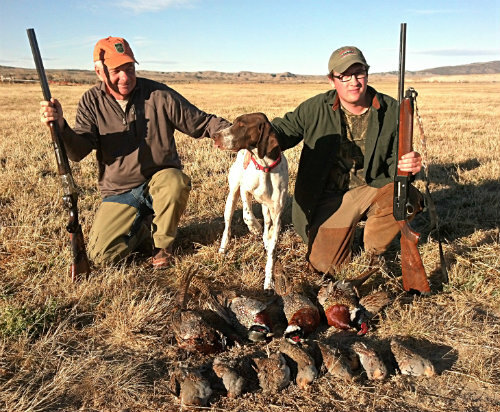 Selecting the right shotgun is a personal choice for Wyoming hunts. We’ve seen hunters use virtually every make and model available, with prices ranging from a few hundred to several thousand dollars. So, as long as your firearm offers you between-the-hand balance and the features you prefer in the field, bring it along. Gauges including 12, 16 and 20 are typically preferred for Pheasant, Grouse and Partridge. We don’t usually recommend 28 gauges, however, some clients have proven to be very efficient with them.